Looking for a Plastic Card Printer? If you need to print plastic cards at your business location on demand, our Evolis plastic card printers are ideal for individual cards and small batches. 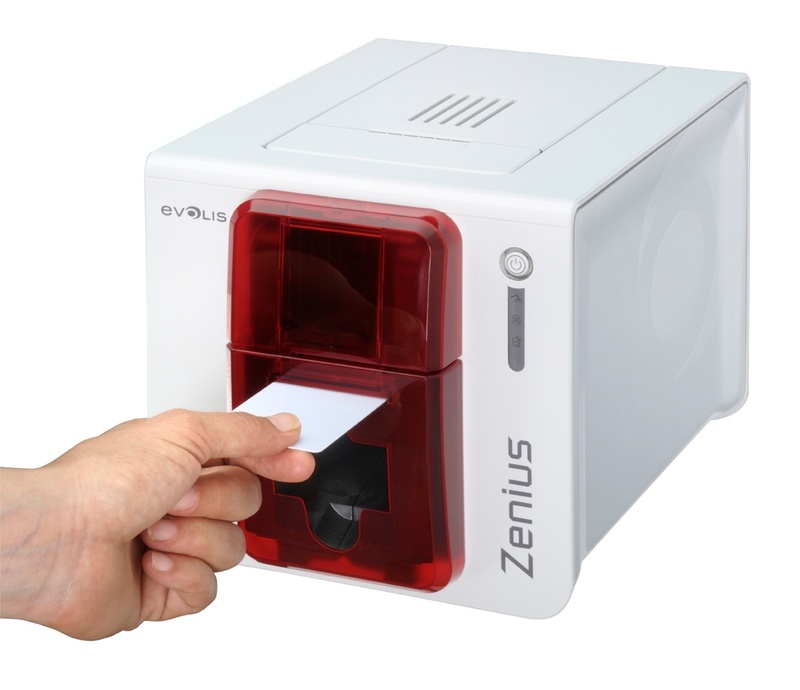 Evolis printers are favored by businesses looking to personalize plastic cards on demand. From membership cards, student ID cards, to VIP cards, ID Badges, RFID Cards and more. 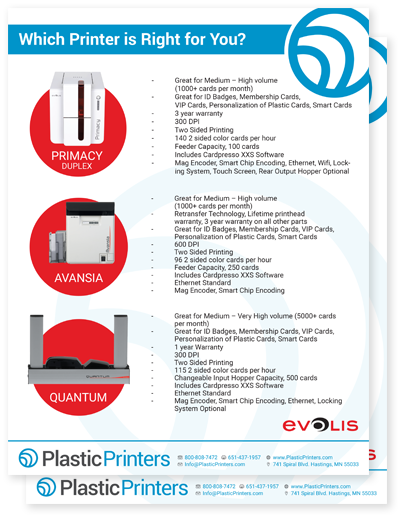 We have Evolis printers to suit your plastic card printing needs. Plastic card printers give you the flexibility to create plastic cards whenever you need them—without waiting for an order minimum. Want help finding out which plastic card printer is right for you? Find answers to the most frequently asked questions about plastic card printers. When Should I Use a Plastic Card Printer? Plastic card printers are meant for cards that need to be printed on demand in small orders. They're ideal for ID cards, membership cards, RFID & NFC Access or even loyalty cards. Printing shell cards allow you the best value per card, and the best looking cards available. When Shouldn't I Use a Plastic Card Printer? It’s ALWAYS less expensive to have us print your cards. A plastic card printer isn’t a machine you use to “manufacture” plastic cards, it takes millions of dollars of equipment to do that. Personalizing cards is really the best and only reason you’ll want a card printer. If you’re printing something sensitive like an employment ID or RFID access card. If the card changes weekly or daily like at a Grocery Store which now must display nutritional facts in their deli section. One may also want their own in-house printer for doing something simple like putting a unique member or VIP number and name onto a card at an Auto Dealership, Gym, Club or part of a membership group. Card printers are excellent options for these reasons because they’re fast and effective. How Can Printing Shells Save Me Money? It costs between $0.60 - $0.85 to print 2-sided color cards with a printer. That cost doesn’t cover the cost of blank cards, or the printer itself either. And the cost never goes down, as the cost of the thermal printing ribbon doesn’t decrease the more you buy. The way it becomes affordable is printing in 1 color, like black, to print specific data onto cards. It costs an average of $0.02 per card to print data in black on a card. And since buying cards from us in bulk is much less expensive than printing the color cards yourselves. You save money by buying the color design pre-printed cards, then personalizing on demand the unique member number or name at your location on your in-house printer as you need them. It is definitely the way to go! Discover which Evolis Card Printer is right for your business. Ideal for printing exactly what it says in the name, ID Badges. It’s great for printing just a few cards a day, or as many as 60 cards per month. Ideal for ID Badges and Membership Cards. Has options for both a Magnetic Encoder and Smart Chip encoding. Ideally for printing less than 500 cards a month. Among the most versatile printers on the market, the Primacy is good for an unlimited card count. The “Simplex” is a single-sided printer and has Mag encoder, Smart Chip, WiFi, Ethernet and other premium options available. 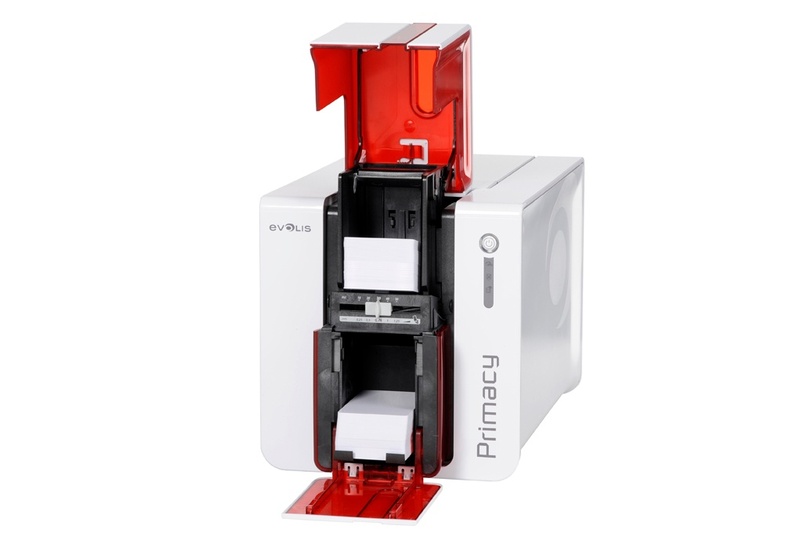 The Primacy Duplex is the same printer as the Primacy Simplex, with an included Mag Encoder, Smart Chip, WiFi and Ethernet capabilities. 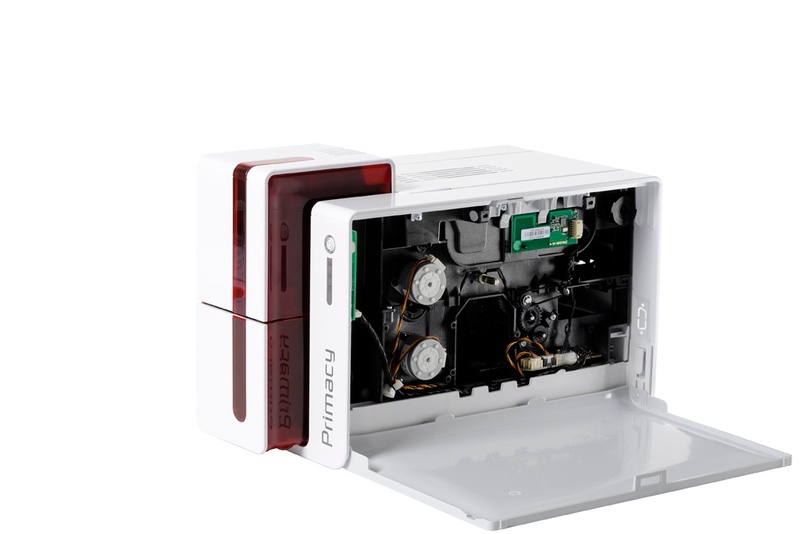 The Duplex printer comes with a flipping module that enables two-sided printing. The Avansia is an exciting new printer, it utilizes re-transfer technology, and prints in an astonishing 600DPI. This allows for breath-taking prints, with amazing versatility. Also, with its advanced re-transfer technology, it offers a lifetime warranty on the print head. This printer is great for ID cards, and situations where beautiful images like photos are the most important quality to your cards. The Quantum printer is the ultimate workhorse. Utilizing the same thermal technology as the Zenius or the Primacy, it’s built for personalizing LOTS OF CARDS! It has two hoppers and each hold 500 cards, so it’s more of a “set it and forget it” printer option. It’s easy to reload with blank cards and does a great job printing.